Tips for hiring and recruiting millennials for your company and business. What does Gen Y and the millennial workforce expect out of their future employer? Find out here. No matter how you feel about the label itself, “Millennials” are the future of business. Generally considered to be the generation born between 1980 and 2000, Millennials represent the current crop of young professionals. Whether your business needs hungry entry-level recent grads or young thirty-somethings with talent and a few years of experience under their belt, landing Millennial hires requires a change in hiring paradigms not seen since the Baby Boomers shook things up many decades ago. Millennials are tech-savvy and constantly connected. They’re also often motivated by more than just the almighty dollar. This generation, is not just about “me, me, me”, but are also starting to ask questions like “where do I belong?” and “how can I make a difference?” Taking those questions into account, how do you land the best of this future workforce? Millennials grew up online. They’re accustomed to updates, new versions, 2.0, 3.0, 4.0, and an ever-evolving technical landscape. Companies whose products remain static will have a hard time landing the generation in question; those that do will likely find their young hires getting bored quickly and looking elsewhere for a great challenge. Your company doesn’t have to be a behemoth of a company to be innovative. Recently spotlighted, Alpha Tech International is a 51 percent woman-owned company based in Maricopa and has partnered with two other companies, Faucet Impressions and Technologic Systems in Fountain Hills to bring digital advertising to a captive market — public restroom patrons. Millennial change jobs early and often, so attract them by keeping your product and your workplace dynamic, rather than static. To keep pace, a company needs to innovate its products and itself. There’s no gold watch for this generation. Another core trait of the current generation is a passion for individual mandates. The young professionals of today are far less likely to be happy cube dwellers. Rather, they seek environments where they feel empowered to make their own decisions. If your organization is a traditional top-down structure, you’re likely to find yourself behind in the race to attract the cream of the crop. Adopt a horizontal — rather than vertical — structure that empowers even young employees to think critically and act. Millennials want ownership. They want projects they can drive and manage (with the oversight of experienced supervisors, of course). Ownership, particularly within the digital professions, is a key selling point for this generation. They’ve grown up with Facebook, Reddit, Tumblr, and countless other dorm room projects that have become huge wins, and they know that success is possible outside of a corporate environment. Rare is the Millennial who will eagerly accept a job with stifling oversight and a top-heavy reporting structure. This doesn’t, of course, mean you should tell applicants that they’ll have free rein at your company, but you should stress that your company culture values entrepreneurial thinking. The lives of these digital natives are overwhelmingly portable and dynamic; they’re accustomed to accessing anything from anywhere at any time, and many desire the same traits in a workplace. As technology advances, there are fewer and fewer reasons to keep rigid working schedules or insist on everyone being present in the same location. Consider offering the flexibility of occasional remote working and fluid scheduling. Zynga in San Francisco, CA allows dogs and offers a walk through a time tunnel with programmable LED lights from the main entrance to work spaces. Skype in Palo Alto, CA keeps their employees pretty happy by offering outdoor-indoor meeting spaces and game rooms that would make any one jealous to work there. Google’s offices around the world are known for offering offering employees extensive food choices, free haircuts, subsidized massages and plenty of ping pong. Facebook in Menlo Park, CA offers laundry services, lunchtime lectures from thought leadership experts, gym reimbursement and much more. This list of the top tech companies in the world, doesn’t mean you have to start allowing chair races down your halls, ping pong tournaments, or limo services to and from work. Start small. They’ll appreciate it. The need for frequent praise is both the trait most associated with the Millennial generation and the attribute for which they are most maligned. Still, it shouldn’t be a deal breaker at your organization if you’re going to land the best of the current crop. Coddling is unnecessary. “If you are trying to sugar-coat criticism by masking it with praise, you will fail miserably in both departments,” advises Dominique Jones, a vice president for human resources in a software firm. It’s also important to remember that keeping the lines of communication open with your employees is a two-way street and can boost morale more than you’d ever imagined. Your feedback can play a vital role in their job performance, so be sure to offer sincere, targeted praise when warranted. 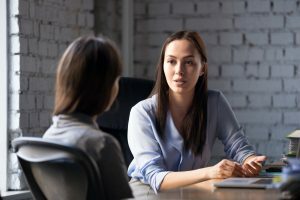 Most people can sense when a manager is being insincere in their praise, and offering general feedback rather than commenting on a specific accomplishment usually doesn’t do much to help the employee improve. Try to be timely in your recognition; waiting too long to praise an employee does little to encourage them to repeat their actions. Above all, remember the cardinal rule: praise in public, reprimand in private, and no bear hugs (see video). Several items on this list aren’t quick fixes and will require considerable changes in organizational culture. It may not be easy, but it is increasingly necessary to attract a generation of young talent accustomed to fast change, constant improvement, and rapid advancement. If your company is going to keep up in the war for talent, you simply have to innovate. If you don’t, your company may end up like the fax machine. Remember the fax machine? 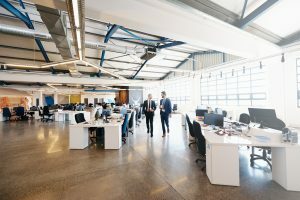 So, what can your business do to create – and maintain – a work environment that Millennials could thrive in?